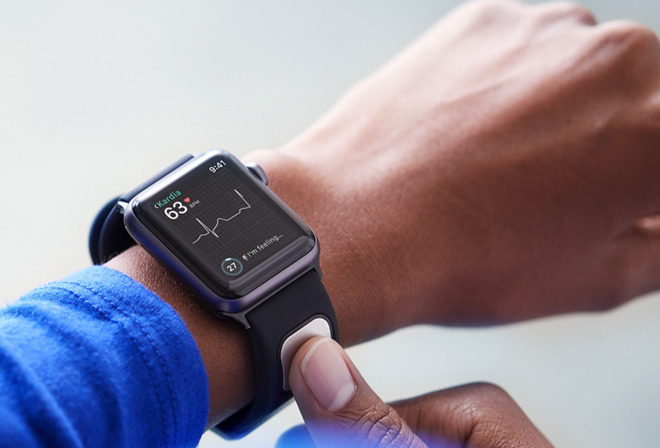 A pair of studies shared by AliveCor —which makes the KardiaBand EKG band for the Apple Watch —suggest that the accessory may be effective at detecting at least two serious health conditions. A study conducted in tandem with the Cleveland Clinic found that the KardiaBand was able to detect atrial fibrillation with 93 percent sensitivity and 94 percent specificity, roughly equivalent to what a physician could do looking at the same EKG data. With a physician actually examining the data, sensitivity reached 99 percent. The second study, done with the Mayo Clinic, simply hinted that combining an AliveCor EKG device with AI technology was an effective means of discovering high potassium levels, known as hyperkalemia. It can potentially be a sign of greater problems like diabetes and heart failure. Sensitivity ranged between 91 and 94 percent. Tests did not use the KardiaBand, but conceivably could be applied to the Apple Watch accessory. The KardiaBand is not a cheap add-on, costing $199 upfront plus an additional $99 per year for a subscription service. Apple has been rumored as working on its own built-in EKG technology for the Watch, but there's no indication of when —or even if —that will make it into a shipping product.